As a youth, Dr Julian Painter embraced dentistry and never wanted to do anything else. He graduated from the University of Adelaide in 1983 with a Bachelor of Dental Surgery. While there, he loved studying biological sciences. 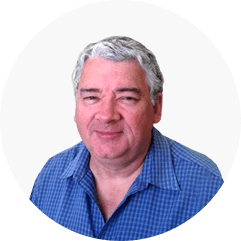 Before moving to Bunbury in 1993, Dr Julian Painter worked for nine years in general practice in southwestern Victoria. Dr. Ram was very interested in health sciences and followed his heart to dentistry. 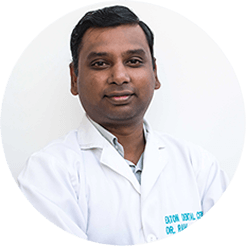 He completed his Bachelor in Dental Surgery in India in 1999 and has enjoyed practicing for nearly twenty years. Dr Ram’s drive comes from confident smiles and good, healthy teeth. He believes happy people smile naturally, yet people who don’t feel good about their teeth hide their smiles, even when they are happy. Eaton Dental Centre supports the Eaton Bowling Club and are proud sponsors of Eaton’s Community College. When you attend Eaton Dental Centre, you are in turn supporting local recreation and education.